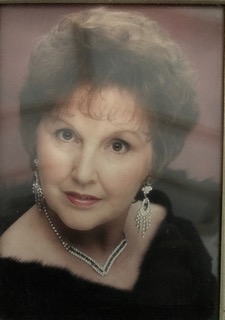 Janice L. Myatt, 77, of Mascoutah, Illinois passed away peacefully on Saturday, January 12, 2019. Born in East St. Louis, Illinois on April 2, 1941, Janice was the daughter of Melvin S. Kramer and Edna P. Woods, Nee Johnson. She was preceded in death by her parents, a step-father, George Woods, brothers Melvin and Eugene Kramer and her son, Michael (JoAnn) Myatt. Janice is survived by a daughter, Cynthia (Dwane) Doerr of St. Louis, Missouri; sister, Marilyn Durborow of Tennessee; granddaughters Maykala of Troy, Illinois and Michelle (David) Johnson of Wentzville, Missouri; a grandson, David Wilson of Florida and several other grandchildren and great-grandchildren. She is also survived by many beloved nieces and nephews and many friends. Janice worked for many years as a licensed practical nurse and in her free time enjoyed traveling, music and spending time with her family. She will be dearly missed by all who knew and loved her.